HVAC systems are a significant investment for any home or business owner, so it’s important to find one that has the right capacity and features to meet your needs and provide the comfort you’re looking for. Here’s a quick guide to the main types of HVAC systems from our air conditioning system specialists in NJ. Split HVAC systems: These are traditional HVAC systems with two sets of major components, one located inside the building and the other set located outdoors. Ducts ensure that the correct-temperature air is delivered to the right space quickly and efficiently. 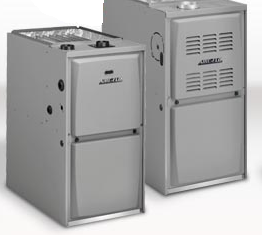 With a simple, classic design, these HVAC systems are efficient for use in homes and smaller buildings. They’re easy to install and maintain, operate efficiently and often have remote control components for ease of use. Ductless split HVAC systems: If you don’t have the space for ducts, this system is your best option. It uses a heat pump and an air conditioner as well as a thermostat control panel to deliver the correct-temperature air. It’s great for zoned heating and cooling and can help you qualify for major tax credits and utility rebates. Hybrid HVAC systems: This is a split system that’s fitted with a heat pump, making them more energy-efficient than traditional slip systems and able to replace a standard gas furnace. They usually come with a user-friendly interface to control the system and are ideal for heating or cooling very large spaces, or spaces that have to deal with very extreme environments, as they are known for their remarkable efficiency. Single package HVAC systems: Smaller spaces often don’t have the capacity for large HVAC systems, which is where the single package HVAC system is very useful. It’s an air conditioner and heater in one – saving you both space and money. At Crosstown Plumbing Supply, we have a wide range of high-efficiency central air systems, condensers, dehumidifiers and ductless air conditioning systems that offer exceptional temperature control and air quality while using minimal energy. We can also put you in touch with reputable local specialists to assist with HVAC repair or air conditioner installation.